Athens has taken measures against Russian diplomats over "illegal activities" and "meddling" that undermine "national security," according to Kathimerini newspaper, which cited diplomatic sources. Russia will give a mirror response to the expulsion of Russian diplomats from Greece, the Russian Foreign Ministry said on Wednesday. 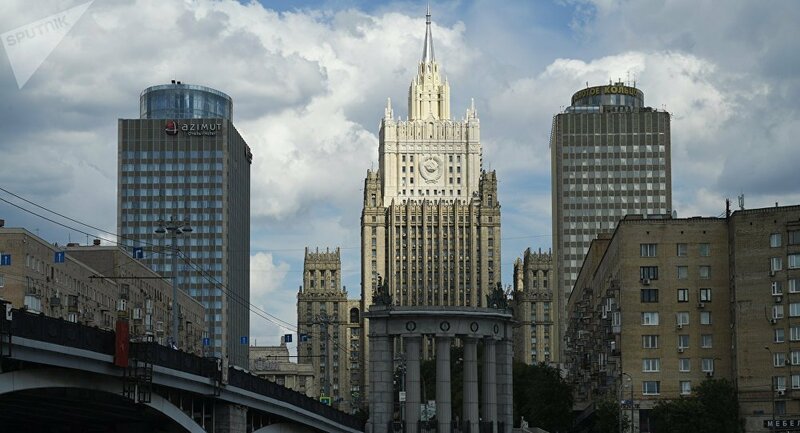 Russia to respond to the expelling of Russian diplomats from Greece, Russian Foreign Ministry said in a statement. According to the ministry, "a mirror response will follow as per established practice for such cases." Two Russian diplomats were expelled from Greece and another two were banned from entering the country, according to the newspaper. Athens has accused diplomats of "attempts to collect and disseminate information, as well as bribing government officials," the article says. The same sources claim that Greece wants to maintain good relations with Russia, promote friendship between the two nations, and cooperation among governments and civil society actors on both sides. However, according to them, this can be done only on the basis of parity and of mutual respect for the sovereignty and independence of the two countries, the newspaper notes. Kathimerini writes that Athens has always been particularly cautious in Greek-Russian relations, as was the case with the Skripal incident in Salisbury, UK, when Greece did not follow the example of other Western states that hastily expelled Russian diplomats. The publication claims that there have been attempts by Russia to intervene in particularly sensitive national problems and support the interests of Greece in the Balkans, particularly with respect to the issue of the name of Macedonia. "Diplomatic sources note that Athens' decision refers exclusively to the actions of these four people, and not to Greece's overall good attitude towards Russia," the article reads. The publication quotes the source as saying that any "response" from the Russian side will lead to further relapses. "Greece Aims to 'Make it Up to' Trump"
Despite a Greek official telling Sputnik on Wednesday that the incident with the Russian diplomats in Greece has nothing to do with broader bilateral relations, Frank Creyelman, honorary Belgian MP, said that Athens' move was aimed at President Trump who is now in Europe for a NATO summit. "Greece was till now reluctant on condemning Russia for all that goes wrong in the world. Now Greece tries to make it up to Trump who by the way today was criticizing the fact that Germany is depending on Russian energy sources. In the end that [is] what it's all about. Demonizing Russia, keep the sanctions alive and in the end be dependent on the US for energy and arms," said Creyelman, a former chairman to the Committee on Foreign Policy, European Affairs and International Cooperation. He noted that the US is attempting "to collect more ‘involvement' — read: money and American [arms] — [from its] NATO partners."